There are no comments for The Pressurized Mating Adapter 3. Click here to post the first comment. 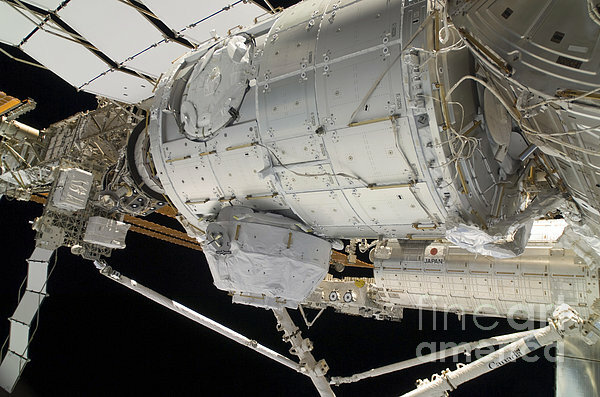 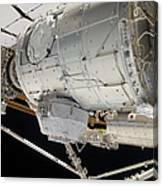 February 16, 2010 - In the grasp of the Canadarm2, the Pressurized Mating Adapter 3 (PMA-3) is relocated from the Harmony node to the open port on the end of the newly-installed Tranquility node. 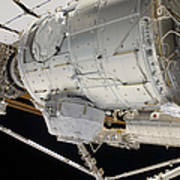 Tranquility's Cupola is visible at bottom center.